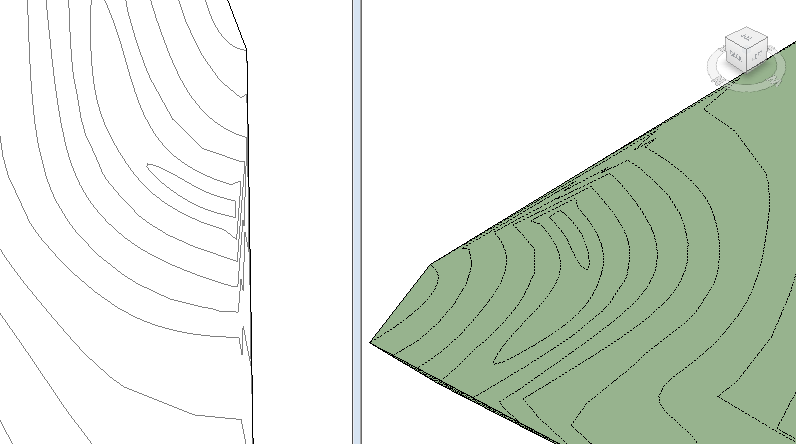 When creating Topo in Revit, you will almost always have a few places along the edge of the Topo where the contours start to connect in some funny ways. Frequently, the contours will create a steep slope that does not exist. While this can usually be ignored since it occurs at the Topo edge, it can also be fixed with a relatively simple solution. This steep edge effect is essentially a result of the triangulation between points and can be solved by lining up all of the edge points. 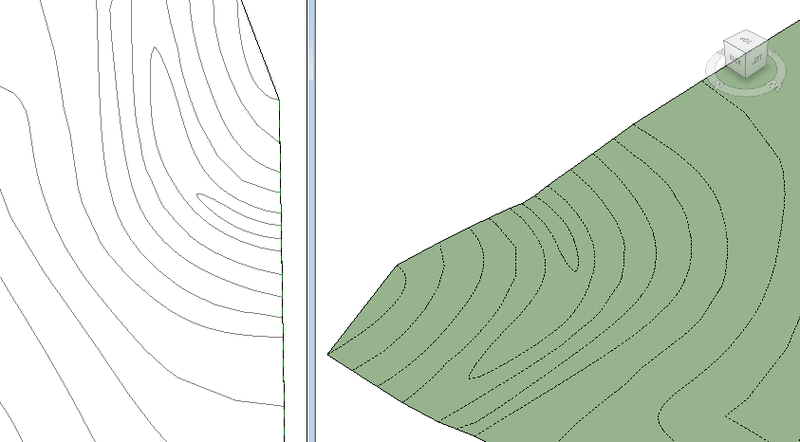 The easiest way to do this is to draw a reference plane along the edge of the Topo. You can actually do this while editing the surface. Drawing a reference plane while editing the surface will allow you to snap the plane to the surface points. But once drawn, the reference plane cannot be modified in the Surface Sketch mode. 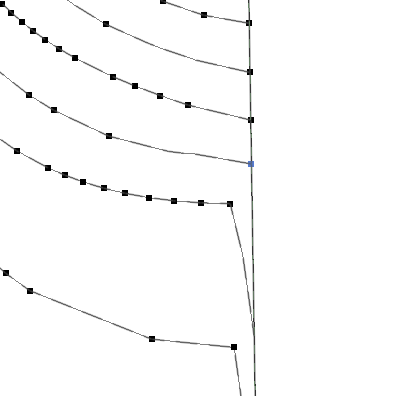 Then, simply move or copy the points to align with the reference plane. Unfortunately the Align tool does not work with surface points, but the points will easily snap to the reference plane. Depending on the size and slope of your Toposurface, this may take a little while, but being able to snap to the reference plane does speed up the process considerably. Besides, it really doesn’t take much time, and the final result is well worth the effort. Would split surface work? Chopping off a small sliver t the end? Just wondering if that would be quicker. Love the blog. Thanks. Yes, split surface would also work in most situations. It would depend on where you wanted your surface to end and the points along the edge. If you needed to extend some points then split surface wouldn’t be able to do everything, but it would probably still save some time. I so infrequently use split and merge surface, that it hadn’t occurred to me. I’ll have to look into split surface a little more to see exactly how it works. Thanks for the comment. Split is what I typically do too. The edge of the surface is usually not as important. If it were then I’d probably expect to have more survey to work with beyond it first. I’d just sketch the “split surface” line down the surface and delete the sliver left behind. Thanks for the comment, Steve. It seems like split surface is a popular method, at least among architects. I am interested to see how exactly it modifies the Toposurface, since it does add points along the edge. Join the mailing list to get customized email notifications. You can support the blog by donating.